What are the terms for online bookings? 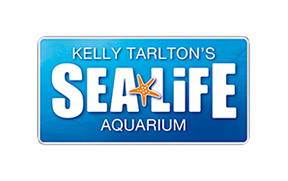 Is there any restrictions for children within SEA LIFE Kelly Tarlton's? Please note: Tickets purchased online for Kelly Tarlton's will appear on your bank or credit card statement as the 'Auckland Aquarium Orakei'. We cannot be held responsible for any additional charges applied by the bank or card issuer. All tickets purchased online require the Visitor to produce the ticket confirmation email on arrival at the attraction. The email confirmation will be emailed to the email address nominated by the Visitor at time of purchase upon successful completion of the transaction.Guests are admitted to the Attraction subject to the Attraction regulations which are displayed at the main entrance, a copy of which is available on request. Admission tickets are non-transferable, non-exchangeable, non-refundable and void if altered. They are not valid for special events that require a separate admission charge. All persons entering the Attraction must have a valid entrance ticket which must be retained during your visit. As the tickets are non-transferable, accordingly they may not be sold or passed to any third party. The visitor attraction known as Kelly Tarlton's and situated at Orakei, Auckland, "the Attraction") is owned by the Merlin Attractions Operations Limited (Merlin). All ticket holders to the Attraction are subject to the following Terms and Conditions and by acquiring one or more tickets to The Attraction ("Ticket" or "Tickets") you confirm to Merlin that you accept these terms and conditions of use. Ticket holders are referred to in these Terms and Conditions as "Visitors"
1.1 One Ticket purchased entitles one person entry to the Attraction on a single occasion. 1.3 Group Tickets for parties of 10 or more may be available at discounted rates ("Group Tickets"). 1.6 For guests who require a carer to assist them due to disability, carers are granted free of charge entry, limited to one free carer per disabled visitor who is purchasing a ticket. Standard ticket rates apply for disabled visitors. Note: this condition may be changed without notification. Note: One Companion Card Holder can enter free of charge with each disabled person. 1.7 The price of Tickets may vary from time to time and the prices advertised are not guaranteed1.8 Once acquired, whether by purchase or on a complimentary basis, Tickets are non-refundable, non-transferable and void if altered and Tickets that Merlin reasonably suspects have been transferred or altered will not be honoured. If lost, Tickets will not be replaced. 1.11 Should a refund/amendment be provided at the Manager's discretion, an administration fee of 10NZD will be applied. 2.1 Pre-booked Tickets purchased via the website (including Priority Access Tickets (as defined below)) should be produced by the Visitor on arrival for inspection and will be scanned to check validity. 3.1 Where available, Visitors will be able to purchase Tickets entitling them to gain entry to the Attraction in priority to holders of standard Tickets ("Priority Access Tickets"). This does not ensure guaranteed entry and queuing may be needed in line with the capacity of the attraction. For full Terms and Conditions of entry please click here. What is the Shark Cage Snorkel experience?